Deadlines are fast approaching if you plan to submit data for the 2017 Merit-based Incentive Payment System (MIPS) performance period. Don’t wait until the last minute to submit your data. Submit early and often. Physicians and practices planning to submit 2017 data for the Quality performance category via claims, must do so by March 1, 2018. 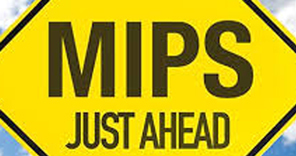 The group reporting deadline via the CMS web interface is March 16 at 8 pm Eastern time and March 31 for all other MIPS reporting, including via qpp.cms.gov.